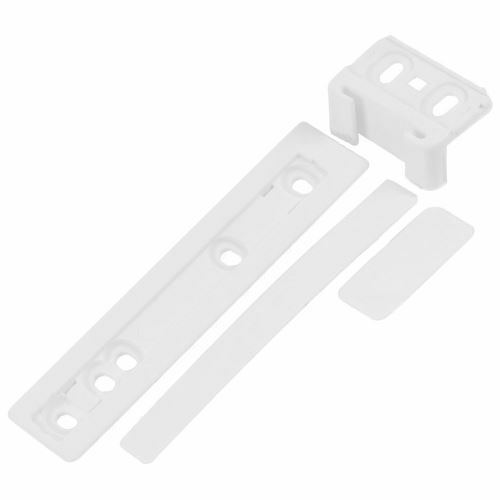 Do you need an Integrated Door Hinge Mounting Kit ? This part fits Fits Acec, AEG, Alno, Arthur Martin, ATLAS, Corbero, De Dietrich, Electrolux, Elektro Helios, ELIN, Faure, Firenzi, Frigidaire, HUSQVARNA, Husqvarna Electrolux, John Lewis, Juno, Nardi, PELGRIM, Progress, Rex, SAN GIORGIO, Sauter, Seppelfricke, Silentic, TEKA, Tricity Bendix, Zanker, Zanussi, Zoppas Fridges & Freezers. Easy to fit. Arrived on time. Now attached to freezer door and working well.. The product was the one that I required....but was a bit expensive. The door slider of our integrated fridge freezer broke off from the fridge door. After googling Ransom Spares, found the part required and within a couple days fitted the new part with ease. A great service, and one satisfied customer.